Moving to Spain - Compare International Movers & Save up to 70% ! When you are looking at moving to Spain, Intlmovers can quickly and easily provide you with up to 6 quotes from international moving and shipping companies. The moving companies will contact you by offering you their prices for your move. Then you can compare different offers and find the best moving company. Our professional moving companies provide customized quotes to you directly. You can compare prices easily and quickly in just a few steps. You will soon find a valuable offer for your move. The stress of your move can be avoided! The moving companies listed on Intlmovers have years of trusted experience in moving to Spain. Complete the easy request form and receive quotes directly for international moves to Spain. The nice weather and the lower cost of living of Spain are very attractive to foreign nationals. Therefore, Spain has become one of the hot spots of Europe. Spanish is the official language of Spain, which is also called Castilian. Over 72% of the people in Spain speak Spanish, but some regional languages in Spain also have co-official status. Galician, which is co-official in Galicia, is also spoken in the Principality of Asturias, Castile and León. Catalan is widely spoken in Catalonia and the Balearic Islands. It is also recognized in the Aragon and Valencian Community. The third co-official language is Basque is the only non-Romance language in Spain and is popular in Basque and Navarre. People who want to work and live in Spain must have an NIE number, which is asked for any fiscal activities like open a bank account. People can apply it by getting a Gestor, but it costs more than €100.. People can go to the National Police Station and complete an English application form (free). You should take your original passport and a photocopy with you. You can get the NIE number after 4 weeks of application date. Getting a social security number in Spain is not overly complicated. You can go to any social security office and fill the Modelo TA.1 form. This form is in Spanish, but the questions are very basic and easy. It includes such things as your. name, address etc. You will need to take your passport or Spanish residence permit card. Because of your contribution to the Spanish Social Security system, you are eligible to get a health card and the access to the public healthcare system in Spain. However, you need to have a social security number in advance. Then, you can use several services including mental health service, specialist care and so on. Intlmovers can provide you with up to 6 international moving company quotes. 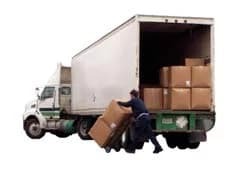 All of them have years of experience in the moving and shipping industry and they can help you alleviate stress from your move. You can rely on them for your move from or to Spain. Making requests on Intlmovers is completely free and has no obligation at all. By making just one request, you can get quotes from up to 6 international moving companies. The international moving companies will contact you directly shortly after you submit your request.